As part of the Library’s ongoing effort to update our current print journal subscriptions to online access, Science is now available on and off-campus via the Library’s A-Z Database List and GIL-Find. Science, also referred to as Science Magazine, is the peer-reviewed academic journal of the American Association for the Advancement of Science. 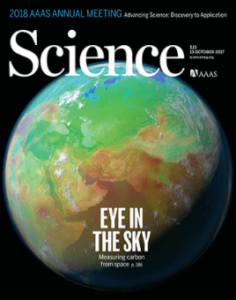 Science publishes original scientific research and research reviews as well as science-related news, opinions on science policy, and other matters of interest to scientists across all fields. Also, as part of the Library’s ongoing effort to increase online access to reference materials, Critical Survey of Short Fiction is now available on and off-campus via Discover, GIL-Find, and the library’s Reference Tools guide here, here, and here. Critical Survey of Short Fiction profiles more than four hundred authors of short fiction from around the world, presenting biographical and bibliographic information and summaries of major works. Films on Demand includes over 5,000 new titles added since January 2017. Films on Demand is available via the library’s A-Z Database List, Discover, and GIL-Find. Furthermore, individual video titles are discoverable via Discover and GIL-Find. Films on Demand consists of over 26,0000 video titles (over 260,000 segments) in the Humanities & Social Sciences, Business & Economics, Health, and Science. Videos may be linked or embedded in Folio. Naxos Music Library includes over 9,000 new audio tracks added since summer 2017. Naxos Music Library is available via the library’s A-Z Database List, and GIL-Find. Furthermore, individual albums are discoverable via Discover and GIL-Find. Naxos Music Library is the most comprehensive collection of classical music available online. It includes the complete Naxos, Marco Polo and Da Capo catalogues of over 75,000 tracks, including Classical music, Historical recordings, Jazz, World, Folk and Chinese music. While listening, users can read notes on the works being played as well as biographical information on composers or artists in Naxos’s extensive database. Naxos Music Library includes a mobile app for iOS and Android devices. To install this app on you mobile device, follow these instructions available on the Naxos website. This fall, the library has added over 6,000 new print ON DEMAND books to Discover and GIL-Find, bringing the total number of available print ON DEMAND books to over 37,900. While searching Discover and GIL-Find, you will notice that some newer books appear with the messages ON DEMAND or “Available by Request.” If you would like to read one of these ON DEMAND books, you can request that the library purchase it for the collection and we will notify you when it is available. Most eBooks are available within two business days, while most print books are available within one or two weeks. To request ON DEMAND books via GIL-Find, see these instructions. To request ON DEMAND books via Discover @ Georgia Southern, see these instructions. In addition to our print ON DEMAND titles, the library has added over 76,500 new eBooks in Discover, GIL-Find, and Ebook Central. These ON DEMAND eBooks appear like any other eBook in our collection. Simply click to read one of these eBooks, and the library will purchase it for you to read in real time. For more about collection development at Zach S. Henderson Library, see our Collection Development guide. If you have any questions about these updates, contact Research Services at (912)478-5645 or askzach@georgiasouthern.edu.